Endourology refers to a specific specialty area in urology in which small internal endoscopes and instrumentation are used to see into the urinary tract and perform surgery. What distinguishes endourology from traditional urology is that all procedures are done internally, without any extensive incisions. Endourology is also known as minimally invasive urologic surgery or laparoscopic surgery. Endourology, for example, can be used to locate and remove small kidney stones. Stones may be taken out or fragmented using tiny instruments inserted into the body through such areas the urethra, bladder, and ureter. In addition to treatment, doctors can help determine what is causing the kidney stones and help identify ways to prevent further stones from forming. Thin, flexible instruments including lasers, graspers, miniature stone retrieval baskets, special scalpels, and cautery, can be used to perform surgery without creating any incisions at all. 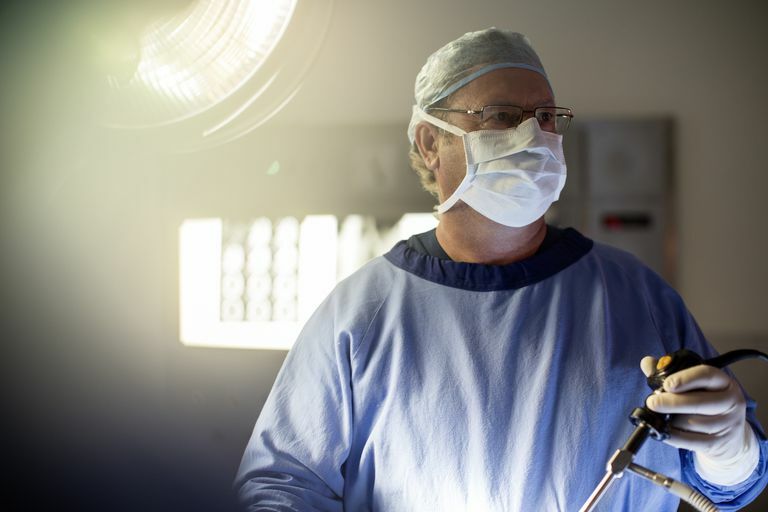 Nearly all endoscopic procedures can be done on an outpatient basis. Urethroscopy: used to treat strictures or blockages of the urethra. Cystoscopy: used to treat bladder stones and tumors. Obstructing prostate tissue can be removed with this approach as well (a procedure called “TURP”). Flexible plastic tubes called stents can be passed up the ureter using cystoscopy and x-rays to relieve blockage of the ureter. Ureteroscopy: used to treat stones and tumors of the ureter. Nephroscopy: used to treat stones and tumors of the kidney lining. Are You a Candidate for Endourology? So how do you know if you are a candidate for endourology? Well first, you will need to meet and be evaluated by and endourologist or laparoscopist. The physician will take into account your specific medical history and the particular nature of your disease. The specialty of urology is constantly advancing. Many urologic operations that were once done by open surgery can now be performed through the laparoscope. Much of this change has been due to improved technology. It will become increasingly important for urologists to be able to have the skill and experience using the surgical microscope. University of Miami Health System. Endourology and Urinary Stone Disease.